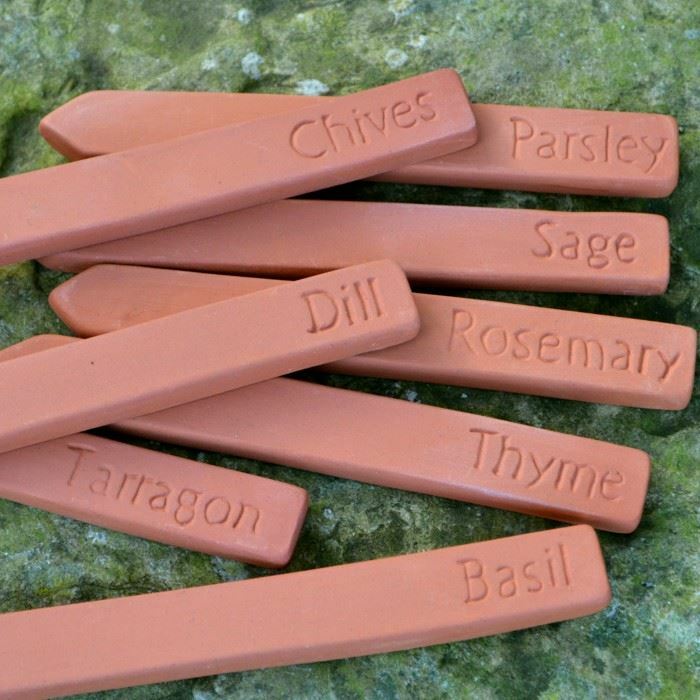 A set of 8 terracotta herb labels with embossed herb names help identify where your herbs are growing in your garden or in one of our herb pots. 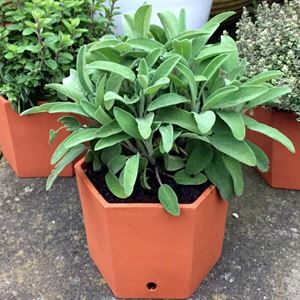 They are both attractive & useful, & give a professional touch to garden presentation. 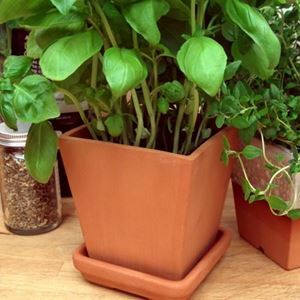 Set includes the following markers: Tarragon, Basil, Sage, Thyme, Chives, Parsley, Dill & Rosemary.